Vibration, shock, motion and noise control problems area fact of life in the design and operation of many types of equipment today. LORD Corporation can help you solve such problems with a wide range of anti-vibration mounts and flexible couplings. 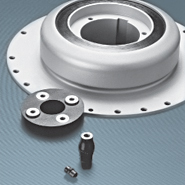 Our anti-vibration mounts and flexible couplings are ideal for applications that include: electric motors; fans and blowers; vibratory conveyors and other material handling equipment; pumps, compressors and refrigeration units; disk drives; measuring instruments; construction and agricultural equipment; electronic devices; and punch presses, lathes and other industrial equipment. LORD offers standardized anti-vibration mounts and flexible couplings to meet most applications, but some control problems require specialized solutions such as a custom-designed anti-vibration mount or a combination of LORD products. LORD Corporation's vibration and noise control experts can analyze your individual requirements and provide the most effective and affordable anti-vibration solutions. 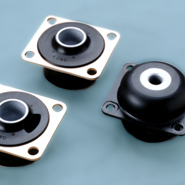 Our customizable portfolio of anti-vibration mounts and bushings provide simple, reliable and cost-effective solutions to isolate vibration and shock, accommodate motion, and decrease noise. Among the large variety of torsional couplings available, LORD Corporation's elastomeric flexible couplings offer the most comprehensive package of benefits available to the powertrain designer.